National Seminar on Violence against women is to be organised on 21st and 22nd August, 2013. 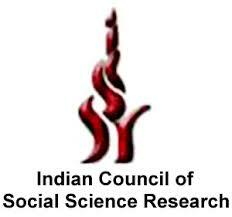 The Seminar is sponsored by Indian Council for Social Science Research (ICSSR). Academicians, researchers, representatives of the Civil Society and Student research scholars to submit their Research Papers on the subthemes to be covered in different Technical Sessions during the National Seminar on Violence against Women. will not be accepted. The Sub-Theme being taken up in the research paper must be specified. Submissions are to be made in word format, preferably in 12 font size, Times New Roman (with 14 Font size for titles) in A4 size format with 1.5 line spacing. The decision of the reviewers will be final and binding. The decision of the reviewers on the acceptability of the paper will be intimated by 12th August, 2013 through email only. For further details regarding Publishing, Awards VISIT.